OneVision creates a new RMR program for manufacturer reps. What it takes for reps to become informed of these programs. Examining the process of finding new clients. The importance of consistently generating work and gaining clients. What’s next for CEDIA after the expo, Sonos joins Portal.io, and Google has Alexa in their sights. wrapping up the highlights of CEDIA 2018, ways to foster new business opportunities, and OneVision starts a new RMR program for their dealers. 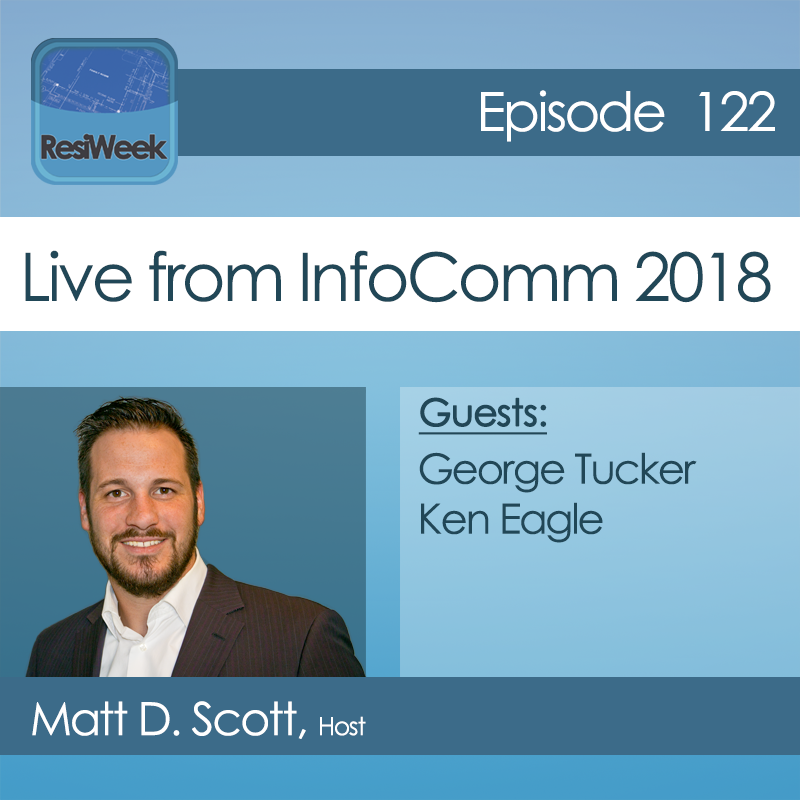 Ken Eagle explains the importance of a trade show like InfoComm 2018 for residential dealers. Apple integrates with Crestron for advanced use of smart home features. What this means for the evolution of Siri. We are coming to you from the AVNation studios at InfoComm 2018. Apple’s WWDC developer conference was this week and they were talking smart home and Siri evolving. AVIXA heald their first ever “Integrated Life” all-day class at InfoComm. What the insights from Parks can tell us about the residential and commercial spaces. ResiWeek 112: SnapAV buys distributor Allnet out of Chicago. This will give SnapAV a ready-made midwest market and the ability to serve those audiovisual dealers up and down the Mississippi. Imagine being on a job site and trying to explain to tech support what is going wrong. They then tell you to shoot your phone at the back of the rack. We discuss the viability of augmented reality on audiovisual jobs. The importance of power conditioning in AV installs. SnapAV buys Allnet distributors.